Laurel Hill State Park just off PA Route 31 - About 2 miles east of Kooser State Park (turn to pass Pioneer Park Campground and Laurel hill is about a mile on your right) Laurel Hill has some ski-able trails and the Pumphouse Trail or Tram Trail (relatively flat) to a small dam on Jones Mill Run is particularly scenic (Watch out for snowmobiles on Pumphouse Trail). 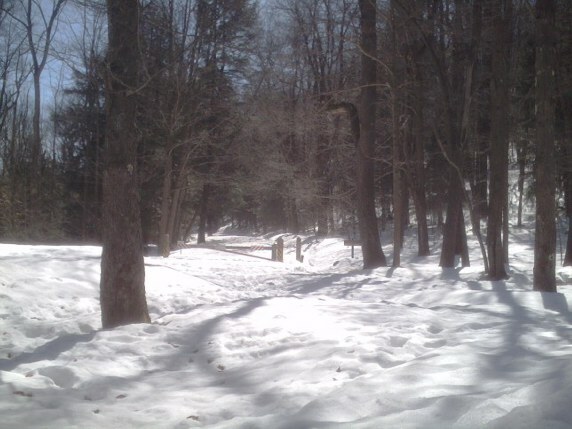 Tram trail requires considerable snow cover for the rocky areas and usually you can ski most of the campground roads. Check the Park Map (pdf 739 kb) for trails and directions. 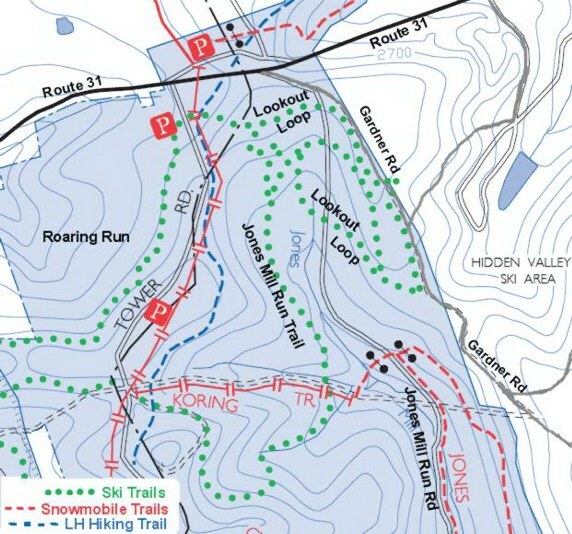 Take the kids sledding on the groomed sled hill in the lower campground - Fire ring, campfire wood, and a port-john provided. The Laurel Hill Lodge may be rented in the winter for groups. The lodge will sleep 14 guests in five double beds (pull-out couches) and six twin beds (bunk beds). The lodge has three bathrooms (two full, one ¾), one and one-half kitchens, recreation room and laundry. Hidden Valley, just west of Kooser SP, is a downhill ski area. 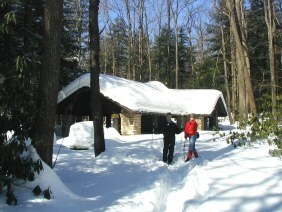 At the present there is no cross country skiing available on Hidden Valley property, but lodging and food is available. 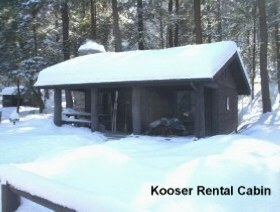 Kooser State Park and Forbes State Forest, which adjoins Hidden Valley, presents many great cross country skiing opportunities.